The upcoming European Elections are just a few weeks away. And when it comes to saving the climate this EU election is one of the more important ones. And I believe itâ€™s definitely something you must take part in if you care the slightest about the climate, your children and their future, the environment or just the well state of your country. As you probably already know by now time is no longer on our side when it comes to fighting man-made climate change. We need radical actions now if we are to have the slightest chance to stop the worst doomsday scenarios. That is why this election is so important. Because whatever you like it or not the decisions which are being made in the European Parliament affects all member states. So this is our chance to vote for meaningful actions against climate change that will affect politics and regulations both in Europe and around the world. Donâ€™t wait until the next European Parliament elections in 2014, because then it will be too late. 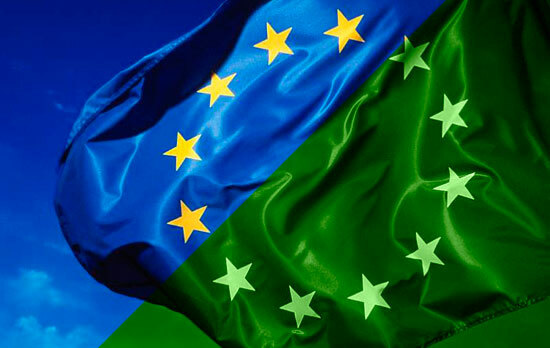 If you live in one of the 27 member states of the European Union, and are eligible to vote, you can take part in the election and help save out climate by voting for a green political party. Yes, you read right. I am asking you to vote for a political party that might not be the right party for you personally in terms of your political views or ideology. But this is such an important, almost a once in a lifetime, election for the climate and the future of our civilization which require us to vote for political parties that actually stands for real actions against climate change. The elections will take place in early June and all member states votes on different dates. For example the UK voting will be on the 4th and in Sweden the voting is not until the 7th. You can find out when the deadline for voting is in your country by using this map here. Because Europe has so many different political parties itâ€™s hard to tell exactly which party should get your vote. That is why I think the easiest way to decide is to choose a political party that is a member of the European Greens (They have even set up a website to promote their candidates and their new green deal for Europe which will help solve the economic crisis and save our climate). Portugal: Partido Ecologista "Os Verdes"
Find your countryâ€™s green party and vote for it in the upcoming EU election. It really isnâ€™t harder than that! This is our chance to vote for change. Donâ€™t waste it. People need to see the the real change is going to come with making building more energy efficient. Cars are a problem but buildings hold the most potential to reduce green house gases and end global warming. I agree with you that making buildings more energy efficient is important.